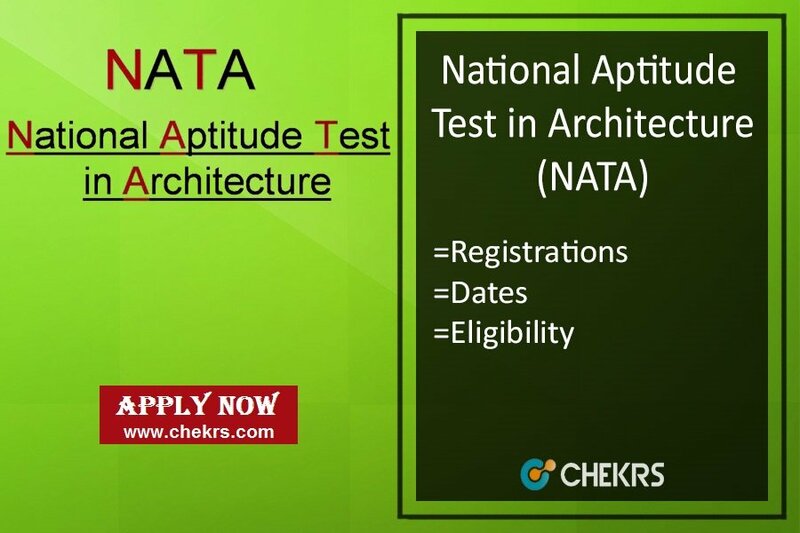 NATA 2018 (वास्तुकला में राष्ट्रीय योग्यता परीक्षण): The Council of Architecture conducts National Aptitude Test in Architecture for all the students who are seeking admissions in Bachelors in Architecture in all over India. The students can apply online for the NATA Application Form 2018 on the official website. The forms will be made available in the first week of January. The students will be able to get admissions in various government and non-government institutes with the help of NATA Admission 2018 scorecard. The exam is conducted once in a year. The students can apply online for the NATA Registration 2018 on the website of the board. The students have to apply for the form before the last date. The deadline for the online form is in 1st week of February. We will provide here the direct link through which the students will be able to submit the NATA Application form here. The students have to follow some steps for the submission of the online form. Steps to submit NATA Registration Form 2018. Then they have to click on the NATA Apply online link. The students have to register themselves on the website. A unique id and password will be provided to the students. Now login with that id. Start filling the remaining details in the application form. Now attach the scanned copy of valid documents, photographs and signature along with the form. The next step is payment of fees. The fees will be paid by below-mentioned process. Also, take a print of generated form for future references. The aspirants have to pay Rs.1250 for the application form. The fee for each category is same. The students can make payment through credit/debit card or net banking. The aspirants who will choose Dubai as the exam centre, they have to pay Rs.7000 extra for the form and only after this payment they will be able to receive admit card. The aspirants are required to check NATA Eligibility 2018 before applying for the application form. The list of the criteria is mentioned below. The aspirant must have completed 12tht class from a recognized board. They must have PCM as their compulsory subjects. They must have scored minimum 505 marks in their qualifying exam. The aspirants who are appearing in 12th class they can also apply. Aspirants seeking for lateral entry are not eligible. Marks for qualifying: 25 % in MCQ section and 25% marks in Drawing portion. The syllabus for the exam will consist of mainly three parts Mathematics, General Aptitude and Drawing. The students have to study the topics on the regular basis. This will help them to learn about the topic in more deep manner. The NATA Syllabus Pdf will be made available soon after the official announcement.